Under the Law Concerning Work Permits of Expatriates and the Regulation Concerning Work Permits of Expatriates, nonresident expatriates must obtain a work permit and a residence permit to be eligible for employment in Turkey. Work permits are issued by the Ministry of Labor and SociaI Security. 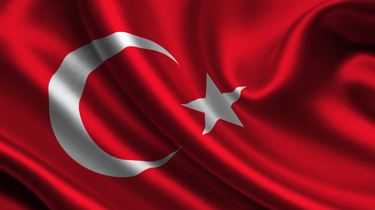 The application for a work permit can be filed from abroad with the local Turkish Embassy or the Consular Bureau, or filed in Turkey directly with the Ministry, provided that the expatriate has been in Turkey legally for the preceding six months. Expatriates filing from abroad must also apply for an employment visa before their travel. The work permit is granted for a one -year period, which may be extended initially up to three years, and at the end of the first extension, up to six years, provided that the expatriate will maintain his position with the same employer for the entire extended period. A request for extension of a residence permit must be filed by the expatriate within 15 days of the expiration date. Employers and employees pay monthly contributions at varying percentages calculated on gross salary, subject to upper and lower limits stated in the law. Employees pay contributions at a rate of 14%. Employers pay contributions at a rate between 19.5% and 25%, depending on the risk class of the business. Five percent of the employers' contribution can be reimbursed by the Republic of Turkey Prime Ministry Undersecretariat of Treasury if certain conditions are fulfilled by the employer. The rates of unemployment insurance premiums are 1% for employees and 2% for employers. Employees who are subject to social security contributions in their home country may not be subject to social security contributions in Turkey if they prove their social security status by submitting legal documents obtained from the relevant foreign sociaI security institution.